With its representations of the artist’s other selves，and by gazing at the artist himself，this work questions the reason for existence. Each of the five “insiders” in their respective poses appears to be describing their own way of associating with nature. 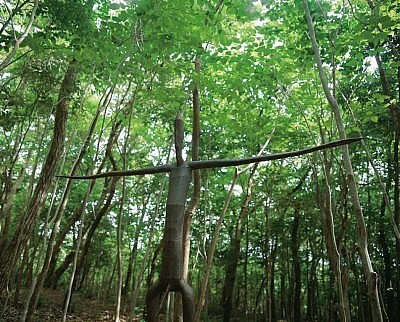 What may have prompted the artist to place these versions of himself in the woods?